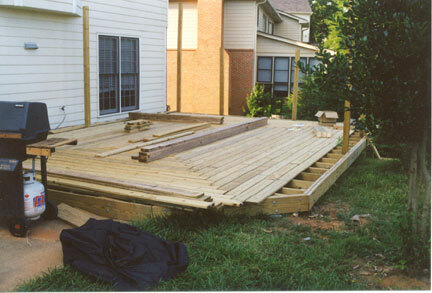 Because of the non-standard decking board layout, I first made a 3-D CAD model of the deck to ensure the beams and joists went in the correct locations, and spans were within code. This is a rendered version, with the house along the lower-right edge. Another rendered view with the house along the lower-left edge. 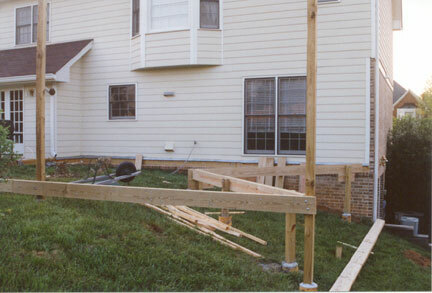 Initial construction, with a massive 3"x8"x22' beam along the right-hand side. Notice the large stumps from the 8' tall holly bushes we had to take out. Notice also the 16' posts for the gazebo. Another view of the initial beams showing the maximum elevation. We used cylindrical concrete forms on the posts to build the cement 6" above the ground to meet termite codes. The ledger board is lag-bolted to the house. 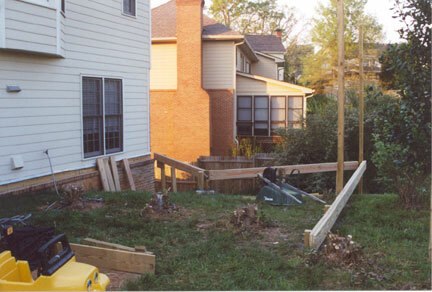 Getting done with the posts and making good progress on the joists. 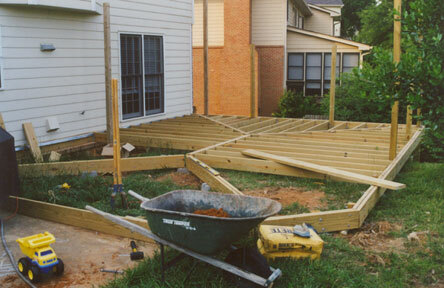 The funny joist layout is for the circular pattern we put the decking boards in at. Notice the holly stumps are now gone. They looked like a really big job to remove, but a 16# digging bar made short work of the root system and they came out in about 45 minutes a piece. 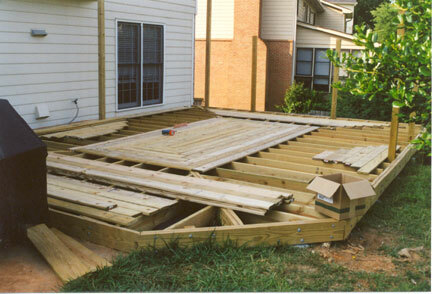 Starting to put down the decking boards. 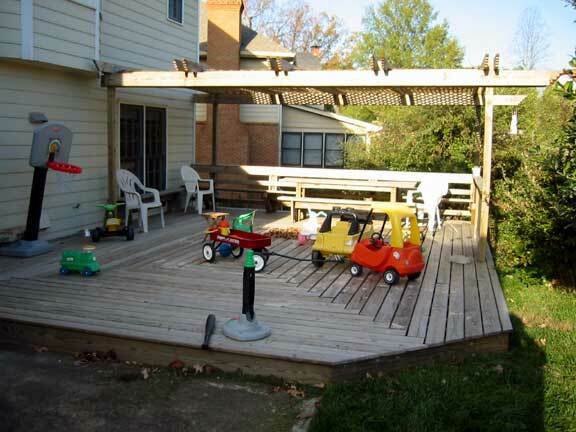 Decking boards are down, railing and gazebo are up. Reverse angle view showing the gazebo better. 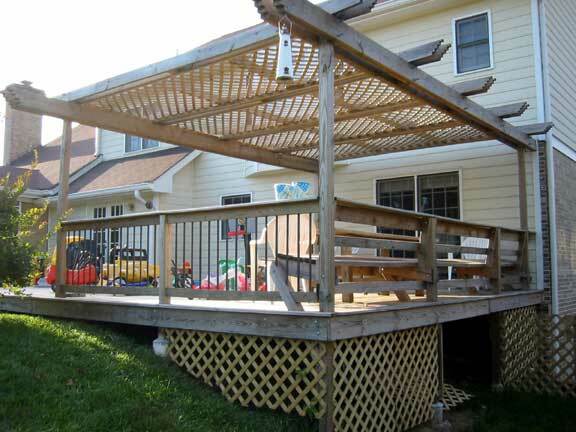 There is some under-deck storage, but it is pretty tight. The gazebo actually turned out pretty well. During the summer it filters the overhead sun, but during the winter when the sun is lower in the sky, it comes under the edge and helps keep you warm.